After uploading this video and then thinking about this solar eclipse the rest of the day, I went to bed that night and started reading the third Letters from 500 book, Amen. I'm over halfway through it, and when I started reading I was literally only two pages away from the next chapter entitled "Hole in the Heart." 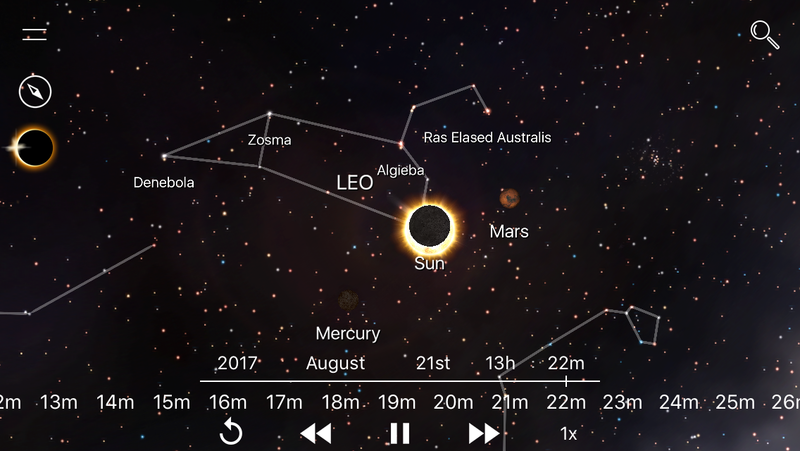 Of course Leo rules the heart of the body, the Sun rules Leo and this total solar eclipse is within the heart of the Leo constellation itself. This chapter of the book is about a ritual offering of one's heart, to put a sacred "hole in your heart." It's described in a way as being the "whole in your heart," that within this hole is the whole. And by allowing this "hole" to be opened in the heart in this very deep way opens up the cosmos within and connects you to a larger Soul group. A conscious divine linkage is made that transcends all time. Also note that the 29th Gene Key, the hexagram this total solar eclipse is taking place within in Human Design, has the shadow of Halfheartedness and the gift of Commitment, which you could also think of as Wholeheartedness! Commit to this transition. Offer your very heart and your life to it, and it will change you. This is a very blessed and sacred passage. Embrace the opportunity it is offering. ..."What can I bring her? What do I have that she could possibly want? I'd be happy to give her anything in my power to give, but I don't know what." ..."Give her your heart and soul. Give her your living essence. Give her your Life! This is the only thing you have to give." I am taken aback. "B, Im not sure what you're getting at. Give her my life? Really? That's a tall order. Nevertheless, I'll do my best to be open and hear you out." "You will be participating in an ancient, mystical tradition that has always existed in some form. I'm sure you've heard of the process whereby future forms of one's soul return into the past to assist in a given lifetime, as spirit or angel guidance. O, of course, is that for you. There is yet a more profound expression of this. What is not so well known is the practice of past lives influencing and assisting future lives - and bestowing upon them gifts. Through the agency of their soul's presence, they can offer up themselves to higher fulfillment. It is all in the family, so to speak. These offerings require intense commitment and transcendence - soul bridging. They require intense presence, and hence ceremonial ritual. "It has become customary among certain schools of vigilans to have visits from their former incarnations at the time of initiation. There is a profound reciprocal effect in this interchange; the previous selves benefit as much as the immediate ones. Humans, from their perspective, normally do not remember these experiences, except as dreams. But I must tell you these are no ordinary dreams! Some humans realized what was happening and found ways within themselves to honor the dreams and to visit their future incarnations intentionally. Those individuals, while unaware of the full extent of the benefit, were blazing trails into the awakening of their entire race. Every bridge you build, every portal you open, aids the whole race." Just now the Threshold is gleaming around us, inviting us to be absorbed into its mystery. I think of my gift... and of dying; I remember my brushes with death. It's not so bad, you know. Black reads my thinking and says, "I'm not asking you to die; not in the physical sense. I'm only suggesting that you give up your Life, surrender your portal into Source to your future self." I chuckle, "That sounds like the same thing to me." "Not at all. Dying is leaving the world. What you would give... is an act of joining the world, the new world of her making. You and she will make it together." ... Suddenly I am flushed with the presence of my own soul... I'm not being asked to make this decision alone! ... With a joint voice I now speak, "I do not need to hear words tell me about this gift. I now realize that the gift must be made from the heart - before the head knows the explanation. I freely commit to this gift, whatever it means. I feel that with all my heart and soul. I invest my whole Life into the initiation of that little girl, who is my very soul flesh and soul blood. I surrender." ... "We hear your soul speak, dear presence. We are grateful beyond measure for this 'gift beyond price.' You are giving us the 'pearl' of your essence. Be assured, persona, there will be no loss to you, at all. Only gain. You will see." ... She reaches down, taking both my hands, and declares, "Let us now enter the ceremony." I can only wonder. We begin to move in a way I've never experienced before. We seem to be entering the Void, but we're remaining still. The feeling is like being sucked into myself, an implosion into a central vortex inside. We are irresistibly moving and yet standing immovable, perfectly still. I emphasize the word 'perfectly.' It is yet another encounter with paradox. My consciousness is turned inside out. I feel light shining from every pore. I'm radiant beyond light and darkness. The whole Cosmos is inside me, and yet it is all so simple. The near Oneness makes it so. I sense the Threshold everywhere, woven into the awareness of this state. From this simple, infinite self I can wrap into and around the Void. The presence of true power grows out of this simplicity. My soul crumbles and reveals behind it, the raw supremacy of Emptiness. I know Source as Self. My words are phantoms as they attempt to describe what I sense, slipping and sliding on the frictionless terrain. I will stop here just to comment on the profundity of this synchronicity. For those who are not aware, Letters from 500 is a trilogy of books that were written whilst in contact with a group of beings from 500 years in our future. The author can pose questions, and these questions are answered through his own writing of these "letters." He is very hesitant to call it "channeling" though. He discusses his own powerful series of synchronicities in the beginning of the first book, and how these writings originally came to be. It was very much as if he was in dialogue with other beings speaking through him, and not only was he in dialogue with them, but also experiencing quite rich shamanic journeys in combination with the teachings. One of the overarching themes of all three books is the human ego and its progressive passing away during the time we're in, a time they call the Great Storm. ..."You know the answers, all of them, in the place of knowing. This is where it is; you are 'where it's at.' There's no other place that matters. "Nevertheless, for the letters, I will explain. This 'ceremony' is the space of sacred realization and connection with destiny. It is a transformation - as you have already sensed - of your form, in order that you may deliver your gift appropriately to your future incarnation. It likewise is much more than that: You are transforming your human life in preparation for awakening - you and millions like you on the Earth of your time. Now hear this: You are awakening! "We are putting words on paper in these letters to assist in the stimulation of waking dreams, lucid and vibrant in your so-called 'waking' life. Your species believes, of course, it is already awake in habits and routines, its 'news media' and its political dramas. But in reality it is still fast asleep - with the emphasis on 'fast.' The pace of information is increasing, accelerating to a frenzy. Soon it will reach escape velocity - the speed of light. "Your race is dreaming of what it fears. Fears, alas, must still guide the current collective vision. We, the appointed guides of your race for this epoch, would instill another kind of dream now, prior to your true wakefulness - a dream of fearlessness. You know, of course, these things must progress in stages in the world of form and time. So, at this stage we would instill a lucid dream of transformation and revelation into your current slumber. From this dream you can gradually, finally, come awake. It is an easing of your path, a letting go of resistance. ... "The letters, I must say of course, are not the only portals for you species' new dreams. There are many weaving themselves, as we speak and write, into the awareness and dreams of humanity. But, make no mistake: These letters are playing their seminal part in the preparation of the Earth. They bring with them a lessening and lightening; it is up to you, the readers and appreciators, to then generate the lightning. "Into your waking dream, this ceremony is inserting the presence of peace, and the identification with newness. It is a rebirth of your etheric form. From this form, you will now commence to offer your gift... Let it now be so: 'Bloom' in place of doom." This concludes the 'Place of Knowing' letter before the 'Hole in the Heart' letter on the next page. I would recommend getting all three books and reading them in order. It is fairly necessary to read them in this way, otherwise much of the context will be lost. Though, there is so much power and clarity in the writings that one would still gain a lot from reading the books in any order they please. The books strongly concern our relationship to Angelic aid, and also spirit helpers. In my video discussing the bee synchronicities of the last New Moon, I also discuss what I call the "Collective Daemon." Please watch the video to fully understand what I mean by this terminology. Everything is connected, which is why there is a lot of self referencing to other videos I've done in the descriptions. This is a very powerful discovery process that is now reaching what some might call "singularity" or "the Omega point." It is where the two worlds of Leftness and Rightness in Human Design, being the phenomenal world of things and the spiritual world of No-Thing, strike a powerful balance. This is a grand synchronicity taking place that is bridging the old and new, while simultaneously highlighting the sharp contrast between them. It is a portal, one I would not miss participating in with full commitment and as much devotional awareness as one can muster.